Whatever you do, don't book a villa let by Front Line Villas SA. We booked through HomeAway (homeaway.co.uk) in October and arrived on Boxing Day to find the place locked and with no one available to let us in. We were stranded outside with a young child and a three month-old baby with no means of contacting the letting agent, Mr Bogaert. We had to go to a nearby bar where we found that our booking had been cancelled at eight minutes past midnight that morning. We then had to find last-minute emergency accommodation in a 3* hotel (available for only 3 nights) and had to find another hotel for the rest of the week. To say that this was stressful is an understatement. Luckily, the staff in both hotels made us feel very welcome, but I would not wish our experience on anyone. Beware!! Im march when we went we found the resort very quiet. There is plenty of restuarants ranging from spahish, to chinese, to italian... there is everything. The meals we had were delicious and we ate in a different place every night. We enjoyed a blues brothers comedy duo at the seven pints and had a few games of bingo up in the stables. but mostly we enjoyed the food and drink. You do get pestered to go to the restuarants but thats their job and they are happy enough to nad you a menu for next time. At present they are diggin up the road and there are diggers and road closed up. But you can still walk round and it wasnt a problem. The resort is very clean with special cycle lanes if you fancy a bike trip. we just went to the beach once and found it to be very pleasant. not many sunbeds but if you go early it wont be a problem. Couple of beach bars serving food and drink on the beach and nearby too. Overall we had a lovely relaxing holiday and will come again. It is a lovely resort . Plenty to do. We would love to go back. 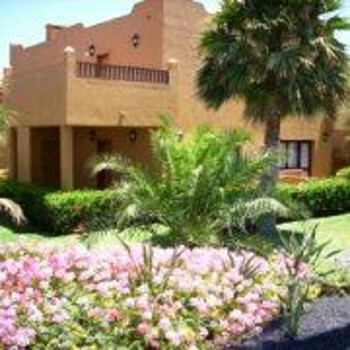 the resort caters very many different tastes there are many restareunts serving any thing from traditional canarian food, chinese, indian, italian or english. in the old town at night there is entertainment around the restaraunts in the square. This is a lovely area although on our daily walk from our hotel into town and the beach we saw an abundance of dog feces on the pavements and whilst walking on the beach found it littered with cigarette ends! I would definitely visit the resort again. Not a great deal to do other than water sports but lovely and very relaxing with good quality restaurants and bars. Corralejo has many and varied bars and restaurants from egg and chips cafes to beautiful seafood restaurants. Irish pubs to quaint wine bars. The best beaches are out of town, near the two Rui hotels (a few kilometres, south). They are some of the best beaches in Europe. The sea can be a little dangerous and life-guards are on patrol most of the time. The resort was great, plenty of shops, to choose from the normal gift shops were along the main strip along with a Zara, Mango, Lacoste, Benetton and other known brands so again something for everyone. Lots of bars and places to eat, not too roudy at all; somewhere you can easily take the children out of an evening and not worry about drunk people falling all over the place making a scene! The beach was beautiful the best beach i have been to in a long time, very clean, the sea was clear with beautiful white sands. Sunbeds on the beach were resonable priced at 3 euros each and 3 euros for an umberella. Would i go back again? Yes!! !